The trailer and poster have been released for Paul Dano’s new film Wildlife. Dano turns director for this project, marking his first time directing a feature film. He also co-wrote the screenplay actress Zoe Kazan, who is his partner in real life. 14-year-old Joe (Oxenbould) is the only child of Jeanette (Mulligan) and Jerry (Gyllenhaal) — a housewife and a golf pro—in a small town in 1960s Montana. Nearby, an uncontrolled forest fire rages close to the Canadian border, and when Jerry loses his job—and his sense of purpose—he decides to join the cause of fighting the fire, leaving his wife and son to fend for themselves. Suddenly forced into the role of an adult, Joe witnesses his mother’s struggle as she tries to keep her head above water. 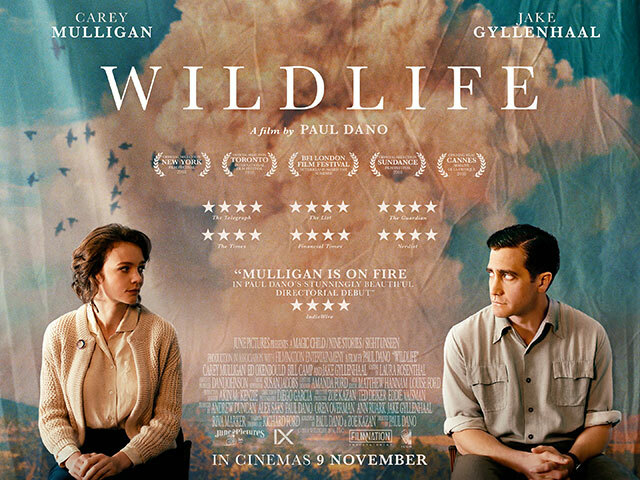 Wildlife is based on Richard Ford’s novel of the same name. It captures the viewpoint of a teenage boy observing the gradual dissolution of his parents’ marriage. Wildlife will have its UK premiere at the BFI London Film Festival on 13th October and will be released nationwide on 9th November.